Leadership Coaching is an investment that pays dividends for leaders and their workplaces! Thrive Leadership Coaching programs exist to help you be the best you can be as a change leader or manager within your organization. Coaching is a powerful process that gives you the support, tools, insights and time you need to reflect and grow in order to develop your desired leadership skills, competencies and goals. 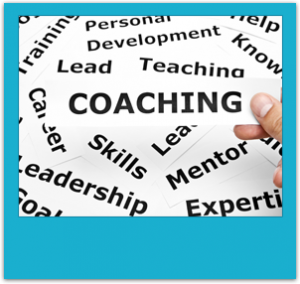 Coaching is extremely valuable for any leader AND a coach approach to leadership can infuse success, change and growth throughout all levels of your organization. It would be my honour to serve you and your organization to co-create a transformational coaching experience dedicated to your growth, learning, well-being and leadership. Thank you. When leaders make time to have coaching conversations for themselves, they create the foundation for being supported, inspired and in action with what matters most in their work and lives. Coaching conversations are purposeful and powerful. Thrive Leadership Coaching is designed to support you, as a leader, to create a positive work environment and meaningful work relationships where people can thrive. We are all leaders to someone!